Harvey Nash Group plc (LON:HVN) the global technology recruitment and outsourcing group, has today announced that ‘The Power of Talent Ltd’ a newly incorporated entity indirectly owned and controlled by investment funds controlled and managed by DBAY Advisors Limited that they have reached agreement on the terms of a recommended cash offer. · The Independent Harvey Nash Directors and the Board of Bidco are pleased to announce that they have reached agreement on the terms of a recommended cash offer pursuant to which Bidco intends to acquire the entire issued and to be issued share capital of Harvey Nash, other than those Harvey Nash Shares owned by Bidco or, otherwise, directly or indirectly owned by the DBAY Funds. The Acquisition is intended to be effected by means of a scheme of arrangement under Part 26 of the Companies Act (or if Bidco so elects, with the consent of the Panel, by way of a Takeover Offer). 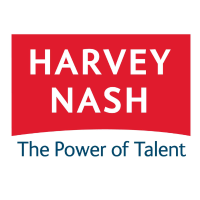 · Under the terms of the Acquisition, each Harvey Nash Shareholder will be entitled to receive 130 pence in cash for each Harvey Nash Share (the “Harvey Nash Offer Price”) and one interim dividend of up to 1.75 pence for each Harvey Nash Share which may be declared prior to the Effective Date (the “Interim Dividend”). · The Harvey Nash Offer Price values the entire issued and to be issued share capital of Harvey Nash at approximately £98.7 million, representing a valuation of 9.1x EV/EBITDA for the year ended 31 January 2018, based on average net debt during such period. · 16.6 per cent. to the Closing Price of 111.5 pence per Harvey Nash Share on the Last Practicable Date. · The Independent Harvey Nash Directors, who have been so advised by Rothschild & Co as to the financial terms of the Acquisition, unanimously consider the terms of the Acquisition to be fair and reasonable. In providing its advice to the Independent Harvey Nash Directors, Rothschild & Co has taken into account the commercial assessments of the Independent Harvey Nash Directors. Rothschild & Co is providing independent financial advice to the Independent Harvey Nash Directors for the purpose of Rule 3 of the Code. · Accordingly, the Independent Harvey Nash Directors intend to recommend unanimously that Harvey Nash Shareholders vote in favour of the Scheme at the Court Meeting and the Special Resolution to be proposed at the Harvey Nash General Meeting. · Bidco has received irrevocable undertakings from each of the Independent Harvey Nash Directors who are interested in Harvey Nash Shares to vote (or to procure the voting) in favour of the Scheme at the Court Meeting and the Special Resolution to be proposed at the Harvey Nash General Meeting (or, in the event that the Acquisition is implemented by way of a Takeover Offer, to accept or procure acceptance of the Takeover Offer) in respect of a total of 1,265,578 Harvey Nash Shares, representing, in aggregate, approximately 1.72 per cent. of the share capital of Harvey Nash in issue on the Last Practicable Date and 2.33 per cent. of the Scheme Shares entitled to be voted at the Court Meeting. · Further details of these irrevocable undertakings are set out in Appendix III to this Announcement. · The Harvey Nash Shares to which the Acquisition relates do not include the 19,171,823 Harvey Nash Shares, in aggregate, held by the DBAY Funds, which represent approximately 26.1 per cent. of the Harvey Nash Shares in issue at the Last Practicable Date. · Other than the Interim Dividend, if any dividend or other distribution is authorised, declared, made or paid in respect of Harvey Nash Shares on or after the date of this Announcement and prior to the Effective Date, Bidco reserves the right to reduce the Harvey Nash Offer Price by the amount of any such dividend or other distribution. · the Scheme becoming Effective by no later than the Long Stop Date. The Scheme Document will include further information about the Acquisition, together with notices of the Court Meeting and the Harvey Nash General Meeting and the expected timetable of the Scheme, and will specify the actions to be taken by Harvey Nash Shareholders. The Scheme Document will be sent to Harvey Nash Shareholders as soon as reasonably practicable and, in any event (save with the consent of the Panel), within 28 days of this Announcement and will be made available by Harvey Nash and Bidco at www.harveynash.com (subject to certain restrictions in relation to persons in Restricted Jurisdictions). Commenting on the Acquisition, Julie Baddeley, Chairman of Harvey Nash said: “Harvey Nash’s acquisition strategy and successful transformation programme has resulted in significant shareholder value being created over the past two years. The Independent Harvey Nash Directors have considered carefully the offer from DBAY, which was the result of a period of negotiation. Whilst the Independent Harvey Nash Directors believe Harvey Nash would have a strong future as an independent listed company, they consider that the offer, which is wholly in cash, represents attractive value and is in the best interests of Harvey Nash Shareholders, staff and clients. In addition, DBAY offers stability to all Harvey Nash’s stakeholders and has stated it intends to support Harvey Nash’s employees and invest in the business as it moves to the next stage of its development. Accordingly the Independent Harvey Nash Directors intend to recommend unanimously that Harvey Nash Shareholders vote in favour of the Scheme at the Court Meeting and the Special Resolution to be proposed at the Harvey Nash General Meeting. Click HVN for the full archive.